The Metro Atlanta Home Inspection: What to do Next? During a Metro Atlanta home inspection, it’s not unusual for issues to arise which need repair or replacing. Many times, it can mean a return to the negotiating table so the buyer and seller can hammer out the details of who’s going to fix what – or how much of a credit the seller is planning to give the buyer. When a home inspection discovers items needing to be addressed, consider these three tips to negotiate repairs. Ask the seller to give you a credit for the cost of the work to be performed. There are several reasons for asking for a credit rather than having the seller have the required work done. First and foremost, the seller has likely lost interest in performing work on the home, regardless of the findings of your Metro Atlanta home inspection. After all, the contract is signed and even though there are issues pending that need to be negotiated, most sellers are too focused on buying and moving into their next home. Secondly, if you can get the seller to give you a credit against the sales price you can use that additional savings to have the work done yourself – with you being the new homeowner and with the work being done to your satisfaction. Thirdly, with a credit at closing the issue of repairing or replacing certain items falls squarely on your shoulders, keeping it simple and not involving the seller to ensure the work was being done. Consider long-range planning. Keep future repairs or renovations in mind when negotiating with the seller. For example, if there are water stains on the ceiling that occurred as a result of a leak, ask the seller for a credit to repair both the leak and repainting or repairing the ceiling. You may elect to repair the leak, but put off fixing the stain until later – especially if you know you’re going to replace the existing stippled ceilings with a smoother treatment. Keep those and other items in mind as you prepare to negotiate on the heels of your Metro Atlanta home inspection report. It’s probably good to mention here that you should always insist the sales contract be contingent on the home “passing inspection” by way of a Metro Atlanta home inspection report showing no discernible repairs that should be made. 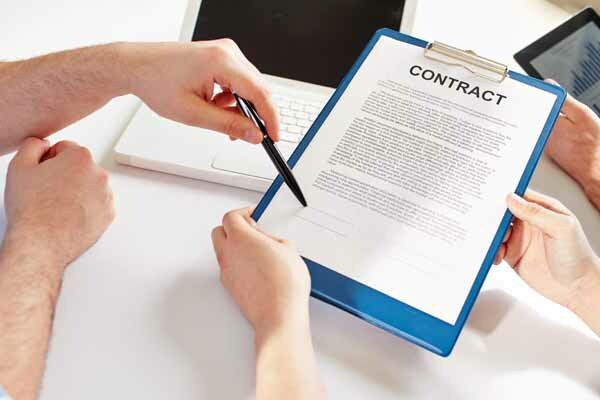 If you don't include that in the contract and make the assumption you can always come back and revisit or negotiate certain issues after the inspection, you may be unpleasantly surprised. You can find more articles pertaining to Metro Atlanta home inspections in the Atlanta Home Inspections section of our site below Atlanta Real Estate Categories in the column to your right. We also post tips daily on Twitter and Facebook and would love for you to follow us there as well. Metro Atlanta home inspection facts will always be a topic of discussion in real estate circles. Home inspections are likely to remain in steady demand as the real estate market is expected to continue to be relatively good in 2017. Home inspections are, of course, a valuable tool in assisting buyers in making informed, educated decisions about a house they’re considering purchasing. Home inspections provide a great deal of valuable information about the overall condition of a home. In addition, the inspection will assess those areas that may require both small and large repairs, as well as any visual issues that may affect the structural components of the house. As with any subjective art or science, the home inspection industry is often victim to a wide variety of myths and misconceptions. Let’s take a look at some of the more prevalent myths and see if we can separate fiction from the Metro Atlanta home inspection facts. Myth: The home inspection report will contain everything I will need to know about the house I’m going to purchase. Fact: The home inspection report will include a good deal of information about your home. However, prospective homeowners are encouraged to accompany home inspectors as they inspect the home. Having the potential new homeowner present will give them the advantage of observing and hearing first-hand what the inspector sees and thinks about the home’s condition. In addition, an inspector will usually give the homeowner suggestions and advice on the maintenance of many areas of the home. Myth: A real estate appraisal is essentially the equivalent to a home inspection and is just as thorough. Fact: An appraisal and a home inspection aren’t the same thing, nor do they set out to determine the same results. There’s a reason both an appraisal and a home inspection report are required by most lenders on real estate transactions – and the reason is they are two entirely different processes. An appraisal is a determination of the fair market value of a home or other piece of real estate. Utilizing Metro Atlanta home inspection facts can determine the condition of a home and its component parts – plumbing systems, electrical systems, roofs and floors, etc. – which, of course, may affect the home’s value, but the inspection report is more concerned with the home’s actual condition. Myth: A home inspector can let me know everything that can maybe go wrong with the house I’m thinking about buying. Fact: While a home inspector is obligated to list in his report items that aren’t working properly or efficiently, he has no way of knowing when certain systems or components will fail. 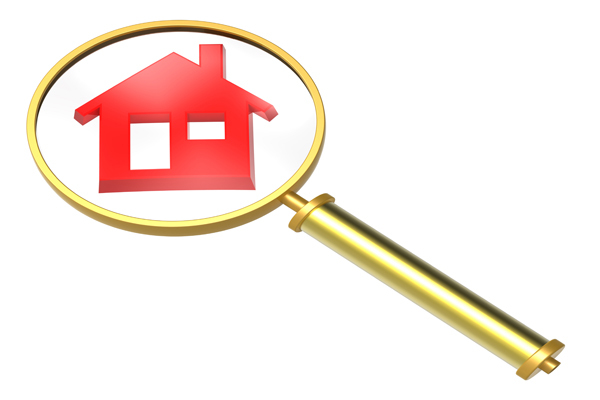 The inspector can only observe the functions of various aspects of the home at the time of the inspection. For example, the home inspector may cite that a home will need a new roof within the next 3-5 years. However, if conditions deteriorate more rapidly than that, a prospective homeowner may find he needs a new roof in less time than was originally estimated. In addition, as has been said of home inspectors in an effort to explain what they can see and can’t see, inspectors aren’t equipped with x-ray vision and can’t see through walls, floors, brick, wood, or concrete. Inspectors can only report on what they view at a particular point in time with a trained eye knowing what to look for. One last thought regarding a home inspection: Read your inspection contract. Some agreements don’t include such items like pest inspection and septic tank failure. These could likely be extras that aren’t part of a standard contract. So, if you're confused or have a question as to what’s covered and what’s not, ask your home inspector to explain it to you – and show it to you in writing. Myth: All home inspectors are licensed and qualified. Plus, my home inspector says he’s certified, so I should be safe, right? Fact: Licensing for home inspectors is only required in 30 states throughout the United States. In addition, even inspectors who are licensed will have varying degrees of qualifications. While some home inspectors receive their job training and certification via a variety of related programs and educational offerings, certification does not always equate to competency, and certification is not guarantee that an inspector is fully trained. 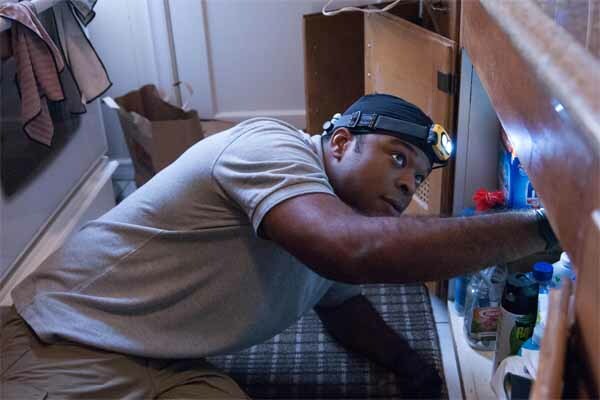 Some home inspectors receive their training from online courses – having never completed an on-site field inspection, nor passed a comprehensive test for home inspection knowledge. While technically they may have received a certification, they clearly aren't as field-tested as other inspectors may be. The American Society of Home Inspectors (ASHI) has taken steps designed to set certain standards for performance for its members. ASHI has several levels of certification and offers full certification to those inspectors who have completed a minimum of 250 home inspections and have passed a comprehensive examination. If you want to know more about your home inspector’s qualifications and just how much he knows about Metro Atlanta home inspection facts, have an in-depth discussion with him. Ask about his training and field experience. It’s also a good idea to ask for a sample of a typical home inspection report so you can see firsthand how thorough the report will be. Knowing more about the home inspection process and the people that provide the service will give you greater awareness and confidence in the results of the report. In addition to the peace of mind, you’ll likely be more prone to accept and understand the inspector’s findings about the house you’re contemplating buying. Be on the lookout for these and other myths to distinguish from Metro Atlanta home inspection facts. They are great for providing a certain amount of information about a home. Just make sure you understand what that information is and what is being reported, recommended and observed by the home inspector. You can find more articles pertaining to Metro Atlanta home inspections in the Atlanta Home Inspections section of our site below Atlanta Real Estate Categories in the column to your right. Metro Atlanta home inspection tips like the ones found in this article could save you a ton of money. A home inspection is but one of the many expenses a homebuyer will face during the home shopping process. None is more critical – and potentially satisfying – than a home inspection. Experts say on a dollar for dollar comparison, a home inspection represents the wisest investment you can make regarding the home you’re considering purchasing. A thorough home inspection will examine and summarize your home’s good points and bad, giving you necessary insight to know how to proceed with the sales transaction. Let’s take a look at Five Metro Atlanta Home Inspection Tips worth considering. Once you meet with your real estate agent to submit an offer to buy the home you like, your agent should cover the various types of inspections from which to choose. In addition to a standard home inspection there are others such as pest, radon and mold inspections. Standard home inspections can be categorized into two different types: The home inspection and the general inspection. While it may sound like nothing more than semantics, there are differences in the two – primarily in the manner in which the information reported by the inspection is utilized. A typical home inspection is the more popular option. In that report, the home seller will receive a notice from the prospective purchaser outlining certain specific items that need to be repaired prior to the closing of the sale. In addition, the notice will ask the seller to consider paying for the repairs by way of a credit toward the closing costs of the transaction. Second on our list of five Metro Atlanta home inspection tips includes getting a general inspection, which is solely for informational purposes. It stops short of requesting that inspected issues be corrected or repaired – but it does provide the prospective homebuyer the option to refuse to close the sale based on the inspection’s findings. Choose a qualified inspector In scheduling, conducting and following up with a home inspection it’s important that each participant in the process is experienced and highly qualified. The potential purchase of the home you’re interested in represents one of the largest financial investments you’ll ever make – and it’s important that you and the people you surround yourself with treat it as such. Select a home inspection expert that is currently licensed by, and is a member of, a well-known trade association such as the American Society of Home Inspectors (ASHI) or the National Association of Certified Home Inspectors (NACHI.) In addition, have the home inspector share a copy of the sample inspection report. Of course, you will ultimately obtain the entire report and its findings, but seeing a blank report ahead of time will give you a clearer picture of what to expect and how you can use the information in a potential negotiation with the home seller. In the end, the home inspector will give you a detailed list of the home’s components and their overall condition. 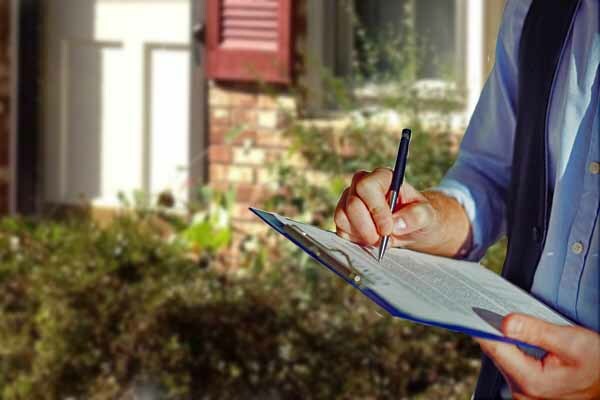 Home inspectors recommend taking notes during the inspection recap – especially if you have questions regarding the use and maintenance of items such as home systems and appliances you’re not fully familiar with. Where’s the owner’s manual? Funny thing about homes – they rarely come equipped with an owner’s manual. Among our Metro Atlanta home inspection tips is the advice of many experts which recommends you accompany the home inspector while he’s conducting the inspection. He will be able to provide a good deal of information on how certain systems in the home operate. This will be invaluable at a later date should you decide to purchase the home. Use the report for the purpose intended Among our Metro Atlanta home inspection tips, when your home inspection professional has examined the home and has issued his findings in the report, review it closely. Ask questions as needed. Don’t be bashful and don’t be afraid of asking the proverbial “stupid” questions – there are none when you’re making a purchase of this size. Keep in mind that the home inspector’s role is that of a “generalist” to some degree, and less of a specialist regarding certain areas or findings. As an example, if the inspector finds possible evidence of a mold issue, he will likely recommend that you contact a company specializing in mold remediation to solve the problem. While negotiations with the seller vary widely according to the results of a home inspection, there are normal guidelines and protocol that are usually followed. Major issues such as plumbing, electrical or HVAC systems should be addressed first and most importantly. Experts say to devote the bulk of your attention and negotiation efforts to these issues and don’t worry about the smaller items. If there are no major items that need attention, then you can tackle the smaller items with the seller as part of your final negotiation. Lastly among our Metro Atlanta home inspection tips, if you opt to perform any repair work yourself or oversee its completion and decide to seek a credit from the home seller at the closing of the transaction, consult your mortgage lender. You’ll want to ensure you are able to request the maximum amount of credits as per the guidelines – usually 3%-6%. Remember, if the amount is in excess of what is needed you won't receive it, the seller gets to keep it. Remember this It’s important to know that home inspectors – as experienced and trained as they are – don’t have x-ray vision that allows them to see through walls or under floors. So remember, as thorough as their inspection of the home may be, they can’t be expected to report on items they can't visually inspect. In addition, remember that a home inspection will give you the condition in which the home is in as of the day of the inspection. While the old adage “Things change” usually applies to the everyday hustle and bustle of life, it also applies to the conditions of various home components, too. When you hire a Metro Atlanta home inspections specialist, there are often problems that even the most knowledgeable and experienced home inspectors can’t always see. While trained professional inspectors can notice wood rot, spot weak places on a home’s roof or locate cracks in a foundation, there are some areas that can go undetected. While a home inspector often can be a super hero, he isn’t Superman. He can’t use x-ray vision to see through walls, between floor joists or inside sewer pipes. In addition, the main purpose of most Metro Atlanta home inspections is to uncover problems or defects that could adversely impact the value of a house or how safe it is for its occupants. While a home inspection is always a good idea and can certainly help verify the home is a good investment as well as a safe structure, there could be existing problems that may create additional issues at a later date. Let’s take a look at four areas of concern that can go undetected. In 1978, the federal government called for a moratorium on the production and use of lead paint and asbestos-based materials used in construction. If the home you plan to purchase was built before 1978 it’s a good idea to pay to have specialized tests conducted for these environmental toxins. In addition, higher than normal radon levels can occur in any home – no matter the age. While lead paint, dangerous asbestos and radon pose potential risks, they’re not included on the list of items most Metro Atlanta home inspections experts look for. If you know about these environmental toxins prior to the closing of the sale, ask the seller to pay for part of the costs to remove or contain the issues. Keep in mind, the costs of removing or containing these and other toxins can be surprisingly high. For example, according to the Environmental Protection Agency (EPA) the cost to professionally remove lead-based paint can run from $8 top $15 per square foot. On a 2,400 square foot home, that amounts to between $19,200 and $36,000! Metro Atlanta home inspections usually include the type of drain pipe used in the sewer disposal and an estimate of the pipe’s age. However, it probably will not include an assessment of the structural fitness of the sewer line or its overall condition. If you’re concerned with the sewer line in the home you’re interested in buying, you can have a separate inspection done by a qualified company. They will determine if tree roots or other obstructions have adversely affected the line. A complete video sewer inspection will cost $250-$500 – compared to a total sewer line replacement, which can cost $25,000 or more. A Metro Atlanta home inspection isn’t just a good idea. It’s imperative if you’re contemplating buying a starter home or “fixer-upper.” Before you buy any house – regardless of its age, size or condition – select a qualified home inspector to thoroughly inspect it and provide you with a complete report. Here are a few areas in your prospective home you and your inspector should check out. Metro Atlanta Home Inspection: Avoiding a "Money Pit"
There’s a classic 1986 Tom Hanks movie entitled “The Money Pit” in which a young couple sinks their entire life savings into a home that is, quite literally, falling apart. A comedy of calamities ensues as they try to handle each disaster the “money pit” they purchased throws their way. Typical fixer-uppers are less expensive and offer the best potential growth in value. As a result, they are popular with first-time buyers. While a fresh coat of paint and some landscaping or other curb appeal improvements can help the property, it’s more important to make sure the house is structurally sound. Once that’s determined, further improvements can be made that may potentially increase its value, appearance and livability. The key is to avoid issues in the house that could create your family’s money pit. 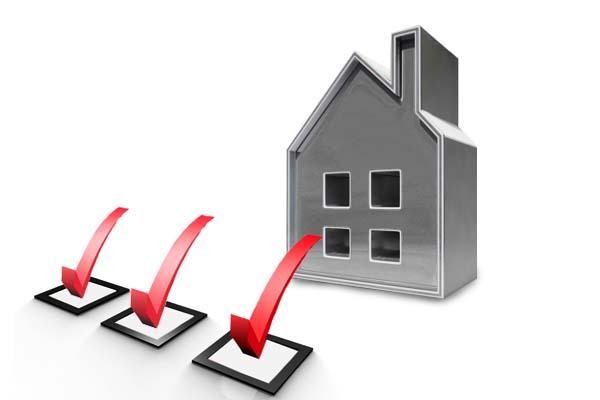 Let’s look at the benefits of a Metro Atlanta home inspection in several key areas. The most important part of any home is its foundation. If it was constructed properly, the home should be on a sturdy foundation, usually reinforced with steel and a concrete perimeter wall below ground with concrete footings. Make sure the structure of the house is straight and solid. Inspect exterior walls to ensure they are plumb and straight – from top to bottom. In addition, the floors should be flat and level. Look for doors that don’t open or close properly or that don’t fit squarely in the door jambs. That could indicate structural problems or settling issues that have created issues. Lastly, the floor should have a solid, sturdy feel to it. If it feels springy or “soft” it could mean the floor joists need greater support or potential repair. Large cracks in the foundation are warning signs. 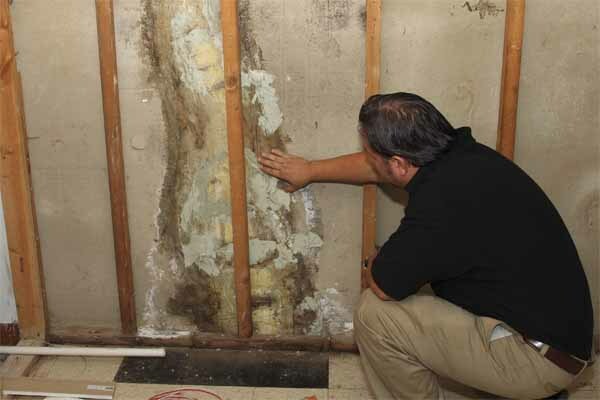 They can often represent structural issues that may lead to expensive foundation repair. If the interior walls in your prospective home have cracks, it could indicate settling or movement has occurred over time. That’s usually caused by unstable or shifting soil or potential drainage issues. Those problems can often be difficult and expensive to solve. Minor cracks above the corners of windows and doors are less worrisome. They can usually be remedied with a little cosmetic work using filler and touch up paint. Your Metro Atlanta home inspection should also include a closer look into how well your gutters and downspouts operate. Their sole job is to efficiently move water away from the house. Look for signs of drainage problems. Check to see if there are watermarks or moisture near the corners of the exterior walls and lower places near the home’s immediate perimeter. Have your home inspector thoroughly inspect the basement or crawlspace for signs of flooding, standing water, or excessive moisture. Moisture can create a perfect environment for mold. While some types of mold are not problematic and easily removed, other types may require considerable expense. Your home inspector will know the difference and will recommend the best course of action. Determine whether your fixer-upper’s plumbing consists of copper or steel water pipes. As steel pipes age, they may become blocked with natural sediments which can reduce water pressure and restrict water flow. Here’s a test you can perform to check your water pressure – even the most experienced Metro Atlanta home inspection professionals do this. Turn on the bathtub spout in the bathroom located the furthest from the water heater. Then, while the water’s running, turn on the bathroom sink faucets and flush the toilet. If the water flow coming from the bathtub spout slows down a good bit, it may be time to re-pipe the plumbing. Another determination you should make in your fixer-upper is whether the house has an outdated and undersized main electrical service panel. Check to see if the main electrical circuit breaker (fuse box panel) has a maximum capacity of 100 amps or less. If it does, it’s undersized for a typical family. In addition, the house should be equipped with 220-volt service. Check to see if there are three main wires from the power company’s pole to the house. If so, the house likely has 220-volt service. If there are only two wires, there’s probably only 110-volt service. Lastly, you can check for 220-volt outlets that accommodate appliances like clothes dryers or electric ovens. It’s important in your Metro Atlanta home inspection to determine the approximate age and type of heating system in the home – and whether all the rooms are heated. Look in the attic and walls for insulation. Adding more insulation in the attic usually isn’t a very expensive or difficult task. However, adding insulation in the walls can add up quickly. Have a home inspection professional check by removing electrical outlet covers. The easiest way to tell if your prospective home has a leaky roof is to check for water stains in the ceiling or attic. Instead of actually climbing on the roof to examine the shingles and other materials, we suggest you hire a Metro Atlanta home inspection professional whose trained to do that sort of work and knows what to look for. One last recommendation is to check out the house’s general layout and architectural appearance. Homes with a distinct style like a ranch-styled home, a Cape Cod or salt box home are perennial favorites. These homes and others are relatively easy to upgrade and perform improvements to – and that work will likely increase the home’s value – turning your fixer upper into a nicely restored older home that will be more marketable when the time comes to sell. Metro Atlanta home inspections are an integral part of the real estate buying process. 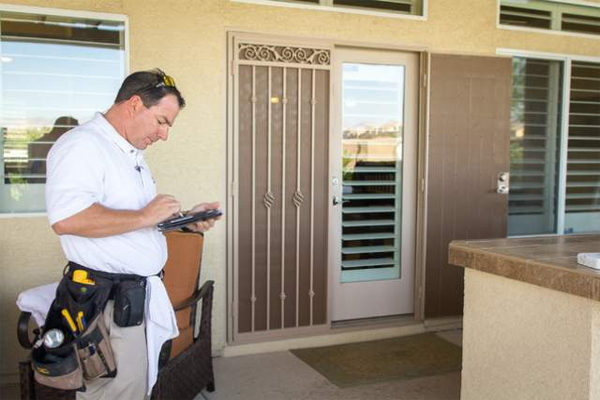 While inspections are not always required, most experts agree they are important. A thorough home inspection provides a home buyer with the peace of mind that there aren't major issues with the house they're considering buying. In some cases, an inspection may reveal problems that need to be addressed before the sale of the home can be consummated. Here are six home inspection issues likely to kill a real estate deal. A qualified home inspector is trained to look at and document everything in the home inspection ranging from a blown fuse to a cracked foundation. Some issues are, of course, worse than others. If you're contemplating buying a home being inspected, it's imperative you concentrate on issues discovered that pose a structural or home systems threat. They could cost thousands of dollars in repairs. Those issues will ultimately affect the likelihood the sale will go through as planned. Naturally, everything is negotiable in a home sale, but home inspection problems need to be resolved before the seller and the buyer are satisfied. Let's look at Metro Atlanta home inspections issues that may derail a home sale. Public awareness of asbestos has been raised substantially since the early days when this cancer-causing material was used as artificial snow in stage and movie productions. The poppy field scene in the movie, "The Wizard of Oz," is one example. Homes built before 1975 could contain asbestos in the felt material used in roofing or the roof penetration sealant. In addition, the tape used to seal ventilation and heating ducts, cement board siding and older tiles may also contain harmful asbestos. One home inspector points says the presence of asbestos isn't a major issue unless it's disturbed or removed during remodeling. Usually, the asbestos can be covered with other materials to protect it from damage. However, deteriorating asbestos insulation found around pipes can be a serious health issue. It's important a qualified asbestos abatement contractor remove it prior to the home closing. Radon is a naturally occurring, carcinogenic and radioactive gas. It is often found in the crawl spaces or basements of older homes. The problem with radon is it can filter up through the entire home's structure. While most homes are free of radon gas, if an inspector discovers radon in the course of his Metro Atlanta home inspections, it should be remedied. Cost estimates range between $1,500 and $2,500. Homes built between 1930 and the 1990s often have oil tanks buried on the property. If an inspection discovers the tank is leaking or deteriorating, it must be dug up and removed. An intact tank with no leakage can cost more than $5,000 to dig up and dispose of. If the tank is leaking, the cost could more than double – especially if the groundwater has been adversely affected. A tank that was buried properly, shows no signs or leaking or deteriorating, and was professionally decommissioned can remain on the property – but the home buyer assume's the risk and responsibility of removing the tank in the future if a problem occurs. It's best to address buried oil tank issues in advance. Exposed wiring can present a safety hazard. Do-it-yourselfers who haven't been properly trained are often responsible for exposed wiring issues. In addition, the knob-and-tube wiring common in homes built prior to 1930 rarely lasts and should be updated by a qualified electrical contractor. Metro Atlanta home inspections that include black mold in their reports are often deal breakers. They can stop a mortgage financing commitment dead in its tracks. If you have a spouse or family member with respiratory conditions it's probably a good idea to move on to another property. At a minimum, have the seller hire a professional remediation company to get rid of the black mold. And, be sure to have the home re-tested after the work is completed. A home inspection that reveals termite damage will be difficult to sell. Fixing the damage is usually expensive and time-consuming. In addition, a home with termite damage requires an additional inspection by a structural engineering expert to examine the integrity of the home's framing to see if additional support is required. Home buyers who elect to buy a house with termite damage should do so only after they receive documentation from a termite company stating the house is covered by a termite warranty. If you're selling your home, major issues revealed by a home inspection scare away potential buyers. But before you panic and rush out to try and fix the issue yourself or pay someone to do so, consider negotiating with the buyer. If the buyer likes the home enough, they may be willing to offer a little less and have the work performed once they become the new owners. However, buyers should be aware of this: know how much the proposed repairs will cost, and how much you're willing to spend. In the long run that will save you money, time and headaches. Metro Atlanta home inspections have become an important commodity in today's real estate market. Home buying can be a fun adventure. However, it can also be worrisome, stressful and problematic. The last thing you want or need during the home buying process is to make your purchase, move in your newly-found home and discover there are problems that can only be repaired by lots of time, money and headaches. If only you were aware of the problems or repairs before you signed on the dotted line. Frankly, that's exactly why Metro Atlanta home inspections are not just a good idea – they're the best idea. Let's take a closer look at why home inspections are important, what they cover, how much they cost and why they're worth every penny. Home inspections should be non-invasive and non-intrusive – the inspector shouldn't make holes in the drywall, damage fixtures or remove roofing shingles. If the inspector recommends more invasive procedures be made he should inform the homeowner. Those additional examinations should only be made with the written permission of the homeowner. Therefore, it's probably a good idea to be present when the Metro Atlanta home inspection takes place. • One last tip: As with most things, you get what you pay for. The lowest price doesn't always equal the best results. Make sure your Metro Atlanta home inspections professional is certified and qualified. A last word on Metro Atlanta home inspections: The old adage, "An ounce of prevention is worth a pound of cure" has never been truer. If you find a home you want to buy, consider investing in the cost of a home inspection. It could save you a small fortune over the long haul and provide you valuable peace of mind. A Metro Atlanta home inspection may not necessarily be required, but it’s usually a good idea and a popular recommendation from industry insiders and real estate agents. However, hiring the right inspection company or home inspector is very important. Because home inspection horror stories can and do happen, some prospective buyers seek the expertise of two home inspectors — the real estate equivalent of the proverbial "second opinion." In this case, each inspector can act to double-check each other. Beware of these tell-tale signs (red flags) that you've hired the wrong home inspector. If your home inspector insists on working alone, it could be a sign that he's not doing a thorough job and isn't fully communicating potential issues or problems to you. It's best to at least be present while he conducts the inspection. Many times even if he doesn't rate a specific area of your home as needing future maintenance or repair, he may, at a minimum, comment on shoddy workmanship or poor-quality repairs that you may otherwise not know about. The inspector isn't properly licensed. If you're having a Metro Atlanta home inspection performed, you'll want to make sure your inspector is licensed in the state where the home is located. This may be especially prevalent if you live close to a neighboring state. Chance are the inspector will be licensed in both states… but don't automatically assume that to be the case. Most importantly, if your home inspector isn't licensed, the inspection carries no legitimacy with respect to recommended repairs used as negotiation tools with the seller. The inspector's communication regarding building codes is unclear or confusing. Let's be honest, unless you're familiar with building codes and regulations, you're relying solely on the inspector to explain and notate them as they relate to your Metro Atlanta home inspection. A good inspector will indicate various items or areas of the home that may need future attention and include a footnote as an explanation of what the code requires to "back up" his findings. Because building codes are always changing and evolving. It's important for an inspector to explain what he means if, for example, he indicates on his report that many of the home components don't, meet the building codes when in fact the only homes that would do so are ones built very recently. For more articles pertaining to a Metro Atlanta home inspection, see the Atlanta Home Inspection section of our site below Atlanta Real Estate Categories in the column to your right. Remember, we also post tips daily on Twitter and we're also on Facebook. We'd love for you to check us out there as well. A Metro Atlanta home inspection is not only a good idea, but it’s usually a requirement before purchasing. The purpose of a home inspection is to check out all the basic elements of the home. A good home inspector will make recommendations if he sees something that needs attention or isn't quite up to par. The Structure – The home should be on a solid foundation and should include a strong frame for optimum support. Interior Elements – The doors, walls, floors and windows should be in good repair. Roofing – The roof shouldn't have missing or loose shingles, or aging components that would weaken the roof or lead to leaks or decay. Systems in Good Condition – Interior working conveniences such as plumbing, heating and cooling, electrical, and appliances should be in good shape and functioning at their highest capacity. A complete Metro Atlanta home inspection could be your only opportunity to identify any problems that may exist in the house you’re getting ready to buy. Knowing those problems up front will help you decide what may need to be done to get the property “ship-shape,” or whether you may continue to keep searching for a home that better fits your needs. See more articles pertaining to getting a Metro Atlanta home inspection in the Atlanta Home Inspections section of our site below Atlanta Real Estate Categories in the column to your right. Finding a reliable Metro Atlanta home inspector is a “must-do” thing when buying a home. A thorough home inspection can help to uncover hidden damage and shine some light on potentially costly future repairs. But home inspections aren’t just completed to keep the buyer safe — they can help to protect the real estate professional too. Informed buyers are more likely to be satisfied with their purchase and, as a result, they’ll be far less likely to come back to haunt you after the sale closes. Make sure any Metro Atlanta home inspector you decide to hire is professional and qualified, will do a thorough job, and won’t be afraid to crawl under the house to make sure the floor isn’t about to cave in! 1 – Are you licensed? – Some states don’t have any licensing requirements, so be sure to ask if the Metro Atlanta home inspector you’re considering is licensed or not. 2 – What Credentials Do You Have? – There are a number of professional organizations that provide credentials, including ASHI and NAHI. Watch out for those who claim a “company certification” or any type of “in-house accreditation system” that’s not subject to overriding industry standards. 3 – How Much Experience Do You Have? – The NAHI and ASHI require a minimum of 250 inspections. Many industry professionals say that finding someone who has performed at least 1,000 inspections and has three to five years of full-time experience is important. When browsing the home inspector’s website, watch out for wording designed to make it look like they have more experience than they actually do. Remember, “industry experience” doesn’t necessarily mean experience actually inspecting homes. 4 – Are You Insured? – Even the best inspectors can make mistakes. It’s important to ask for proof of insurance for both errors and omissions and general liability. Always avoid inspectors who aren’t insured, and watch out for inspectors who severely limit their liability coverage. 5 – Do You Offer a Guarantee? – Does the Metro Atlanta home inspector stand by his report? Does he offer any guarantees? Some home inspectors offer optional 90-day warranties that will help cover repairs or replacement costs. Be sure to check into such offers, paying special attention to the fine print and exclusions. 6 – Do You Have Sample Reports? – This will help you to gauge how thorough their inspections will be. Most any reputable Metro Atlanta home inspector will be more than happy to provide you with one if they don’t already have one displayed on their website. 7 – How Long Will Your Inspection Take? – According to ASHI, a home inspection can take two to four hours or longer, depending upon the size of the home. Watch out for inspectors who offer “specials” for one-hour inspections—anything less than two hours may be an indicator of a less-than-thorough job. Get more information as it pertains to finding a Metro Atlanta home inspector in our section on Metro Atlanta Home Inspections to your right under Metro Atlanta Real Estate Categories. Remember, we post tips daily to Twitter, and also on our Facebook Page. We’d love you to check us out there too.